Nightclubs were a statement to the creativity and sensibility of post-war youth, celebrities and designers, than any other institution. The story of nightclub design evolution tells the story of the changing taste of youth over the ages. 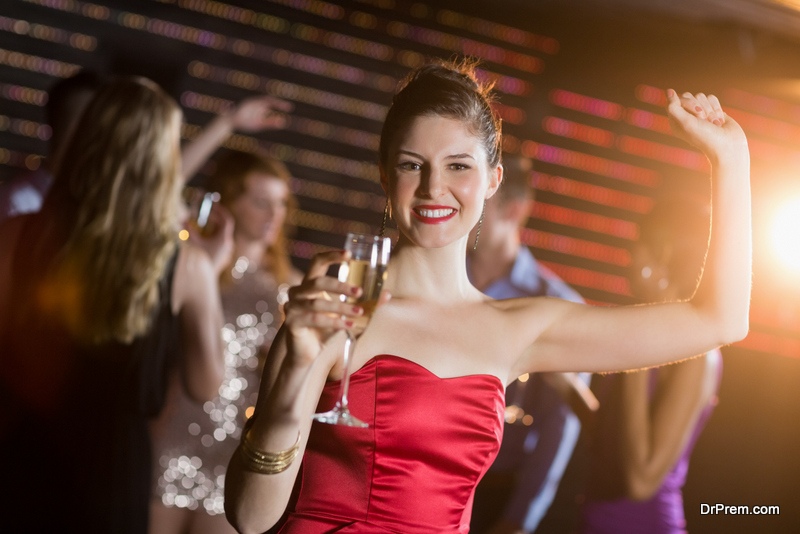 The impact of nightclub evolution was huge – nightclubs were not just a reflection of the times, but they were also instrumental in shaping the times. Nightclub design evolution has been closely linked with the culture of the youth prevailing at the time. In the 1960s, the clubs really came into their own, and club owners were able to hire the most ‘happening’ architects and artists at that time to design. The economic boom helped to create the perfect environment for out of the world club design. 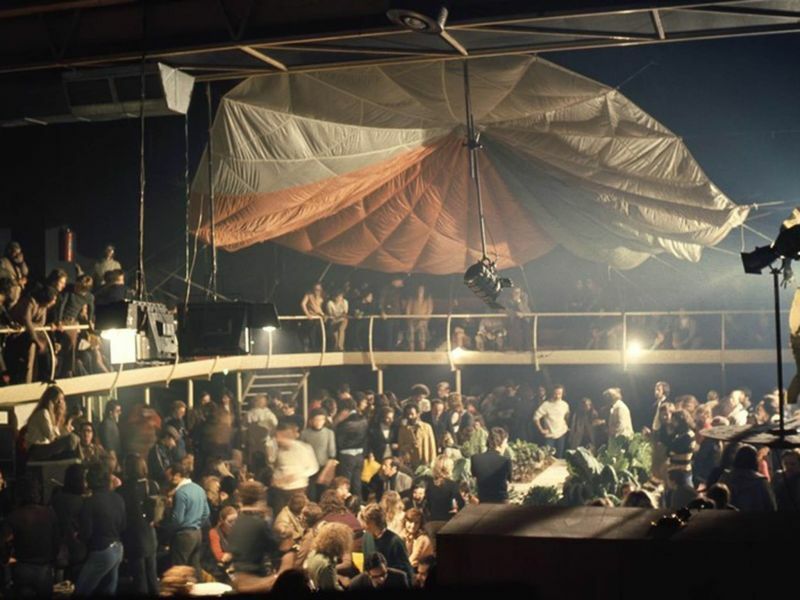 The venues were often bohemian and fun-centred. Electric Circus was a resounding success and nightclubs came into being in Europe too. Space Electronic was established in Florence, Italy in the year 1969. It was designed by the group Gruppo 9999, one of the architecture groups of the Radical Design architecture movement of Italy. Space Electronic displays how a nightclub could be a vital location for multidisciplinary and multimedia experimentation. Clubs like this one became hubs for subcultures to exist, and thus influenced design in fashion, music and arts. Celebrities who performed for other celebrities frequented New York’s Electric Circus. The club thus had the latest music systems, and a psychedelic light projector was used to emphasize various performances. One of the most famous artists to have performed at this club was Andy Warhol, who displayed his ‘Exploding Plastic Inevitable’ events here. Nightclubs such as Electric Circus, became the byword for hedonism and creativity. They were not just place to party the night away, but they were also places which served as outlets for designers’ (from many fields) creations. In the early 80s, clubs like Studio 54 were no longer fashionable. Mudd Club came on the scene, bringing a fresh change. It had a punk, DIY theme and the artist Keith Haring was asked to curate the art collection on the fourth floor of the building. He also designed an exquisite mural for the Palladium. In the Palladium, you could see two huge banks of TV screens which moved up-down continuously. Studio 54 was one of the nightclubs which introduced one element of nightclubs which we are all familiar with today – dance floors. The 70s were all about dance music, as disco was the rage. Ron Doud and Scott Bromley were the designers. It was the favorite place where most young people loved to congregate. 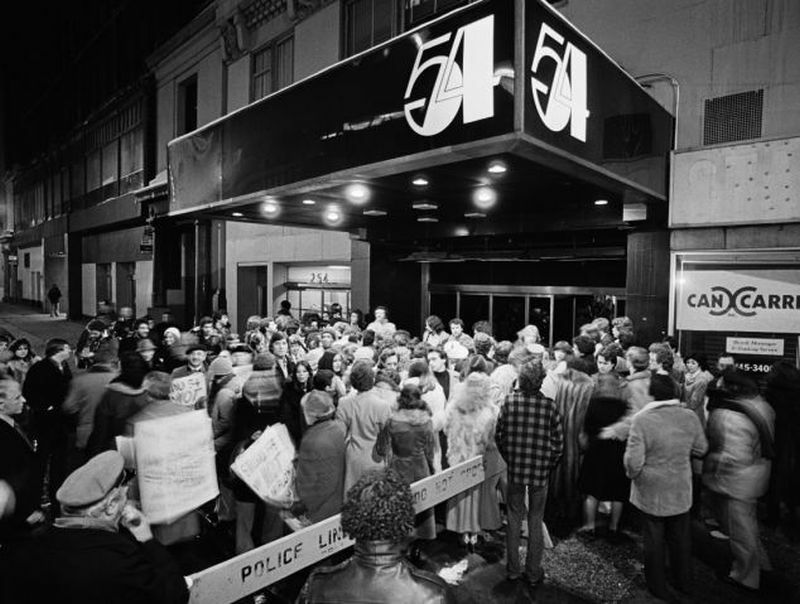 Studio 54 was designed in the style of a theater, where everyone performed on stage, and was one of the clubs which are always mentioned in nightclub design evolution discussions. Studio 54 introduced the ‘door policy’, filtering out the hoi polloi. Only the super stylish, beautiful people were let in to experience the super slick interior. Special lighting made everything look mysterious and beautiful. The dance floor had mirrored panels and pink neon lights embedded. 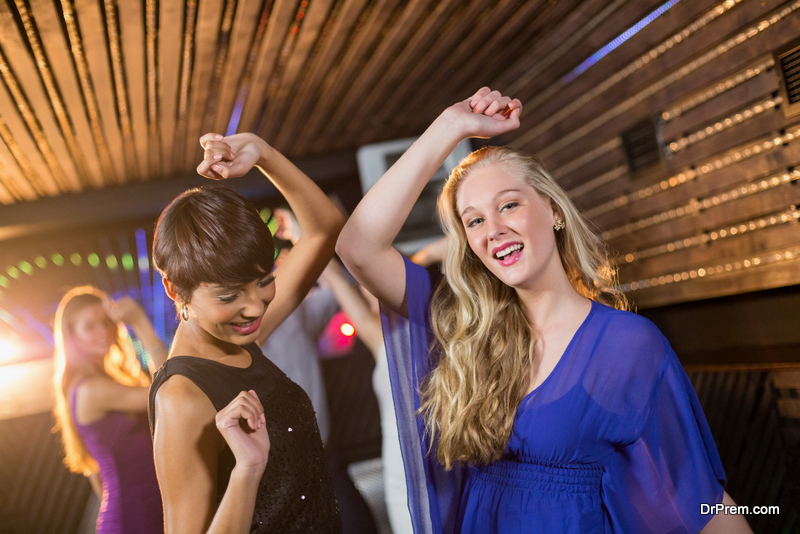 The impact of nightclub evolution was great on the disco culture of those times. A spectacular bridge with bright and flashing lights, advanced across the club floor towards the dance floor, which could support 250 revelers. The bridge lavished dry ice and glitter on the dancers. Area was revolutionary in nightclub design evolution. It changed its décor every six months. This club attracted celeb visitors like Grace Jones and Andy Warhol. These two clubs testify to the diversity of design during the 70s to 80s. The avant garde club Le Drug was in fact a nightclub as well as a drugstore! The interior was fascinating – Francois Dallegret, the architect sculpted stalactite- type protrusions which hung from the club’s ceiling. At Bamba Issa, clubbers often relaxed on camel-shape seats which were placed near a gigantic hourglass. Nightclub design evolution reflected the changing trends in society. 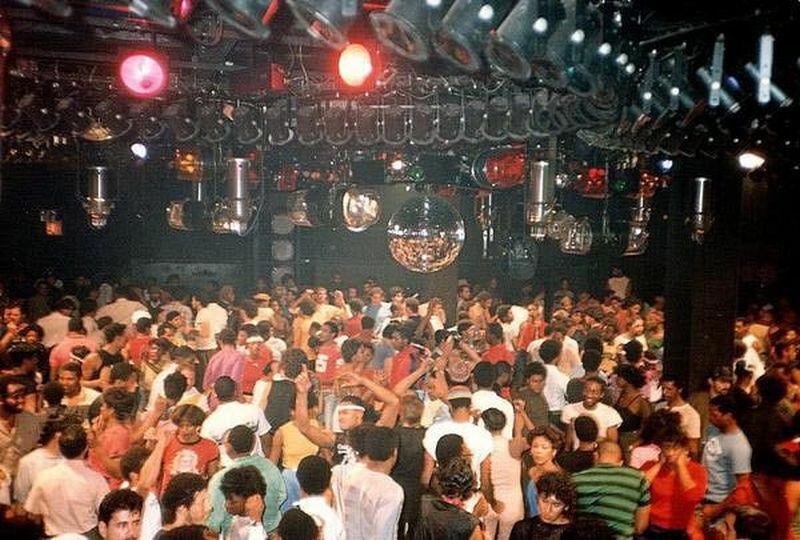 Clubs like Paradise Garage (which was located in an unused garage) and The Loft had black, Latino and white people mingling together, thus overcoming racism and homophobia. Ben Kelly designed the extraordinary Hacienda in Manchester, England. It had the spirit of independence as the theme, inspired by the label Factory Records. The designer paid attention to safety too – he wrapped hazard tape around the columns, so that people could see the columns easily. He embedded intriguing cat’s eyes within the dance, which added to the safety as well as the design aesthetic. In the design history of nightclubs, Hacienda was marked for its innovative design, which matched the rave music of the eighties till the 2000s. In this era, disco music transformed to rave, and the interiors changed accordingly. Club Fac 51, Hacienda, Berghain (Berlin) are some of the most important clubs in the design history of nightclubs. Clubs today have been seen to add an extra edge, to get the attention of young people. Live music and delicious cuisine is part of club culture today. These clubs also contribute to the happening nightlife across the world. The décor is experimental and theme-based, as they have to stand out from their rivals. Clubs like the Ministry Of Sound in London have recaptured the ambience of the 60s and blended it with modern technology to give the club experience an upgrade.